I can’t believe that as of September 6th, I will have both a kindergartner and a middle schooler. Where has the time gone off to over the past few years? 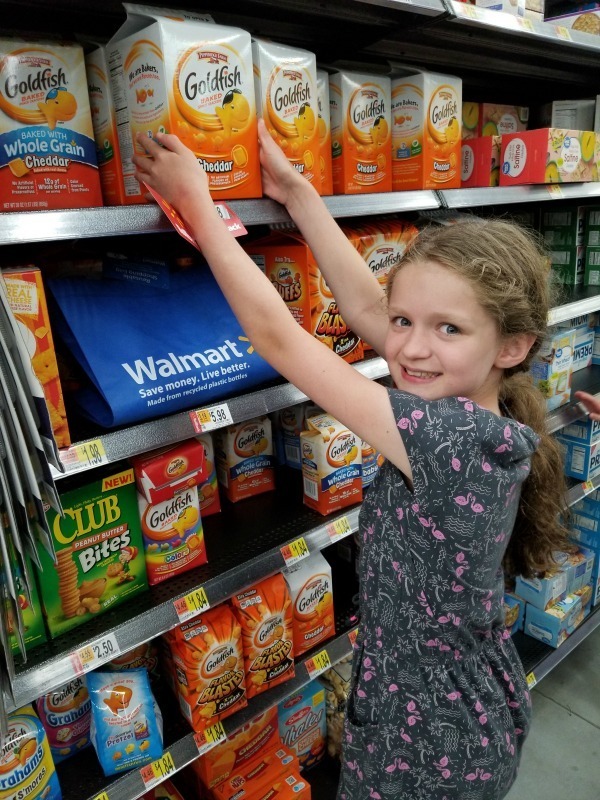 I still remember my children as newborns, and now, here they are reaching scholastic milestones and helping me pick out lunch box favorites at Walmart. Can we freeze time for just a little bit? Things have been so chaotic lately between the move and school. I just want to enjoy the remainder of summer and relax with my “babies”. As much as I thought I would never say this, I am not ready to be alone during the days. For the past ten years, I have always had a small child with me. What will I do with all my kid-free time? The house will not be the same once they head back to school. Only when they arrive home at 3 will the normalcy of a full house commence. 3 pm in our home is always a little chaotic because it is snack time. My kids know that when they get through the door, each of their place mats will have a snack like Pepperidge Farm® Goldfish® crackers. One thing I always enjoyed as a teacher was seeing what my students brought in their lunch boxes. Seeing the joy in their eyes when they unzipped their boxes to find cute notes, silly faces, or their favorite snack was heartwarming. Now, as a mom to three, I have always tried my hardest to add one fun element to my kid’s lunch boxes each day. 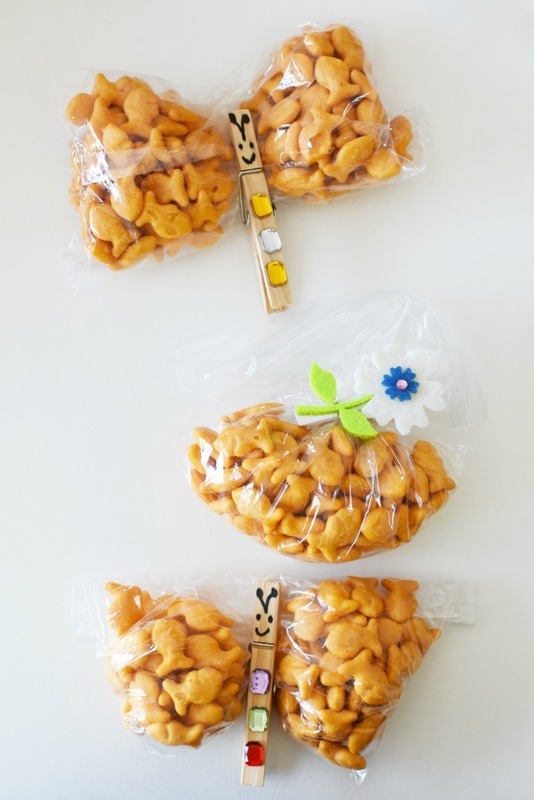 Today, I wanted to share some silly & cute lunch box ideas using Goldfish® crackers. My son is all about sill things, and my girls love cute things. 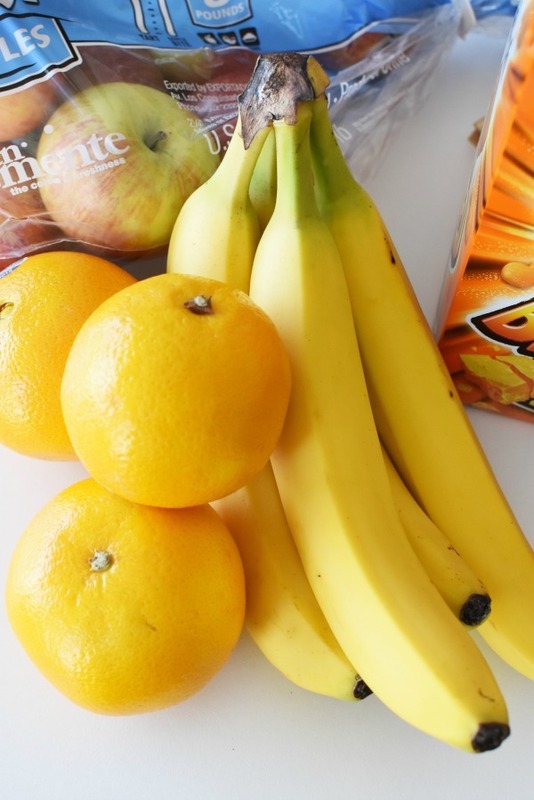 To find the perfect balance, I wanted to share some very quick and EASY lunch box fun that will be sure to help you pack a well-balanced lunch box full of smiles. 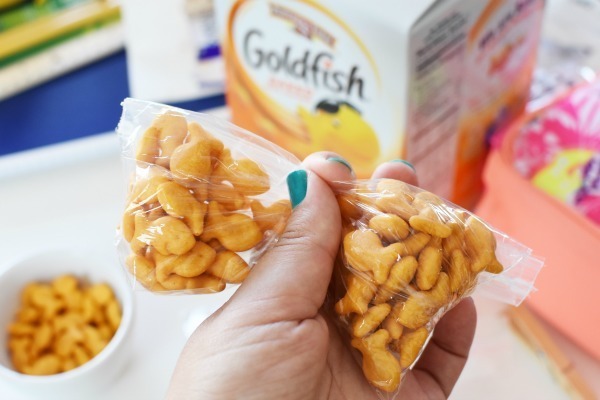 Fill each zippered sandwich bag about half way with Goldfish® crackers. Adhere rough velcro sticker to fruit, and soft velcro sticker to a googly eye. 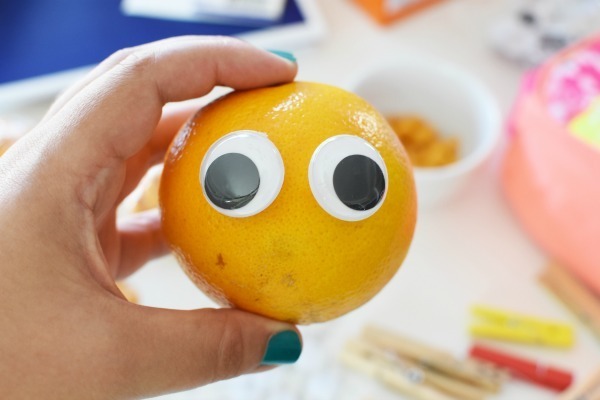 Adhere eye to fruit- voila, you have a silly piece of fruit sure to make your kids smile! 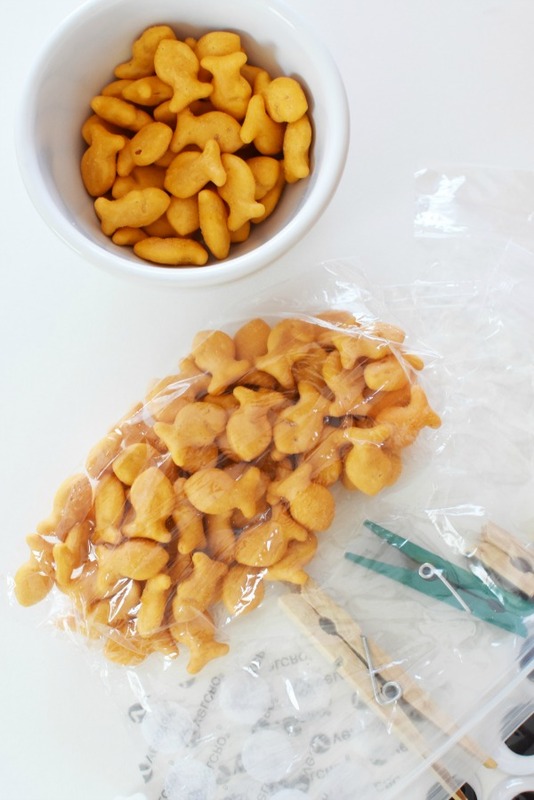 *You can also follow these directions to make a silly bag of Goldfish® crackers which can be tied off with a clothespin. Additionally, the same can be done with a sandwich. Simply cut the sandwich with a large cookie cutter of choice, and adhere the Velcro pieces to the sandwich bag and eyes. 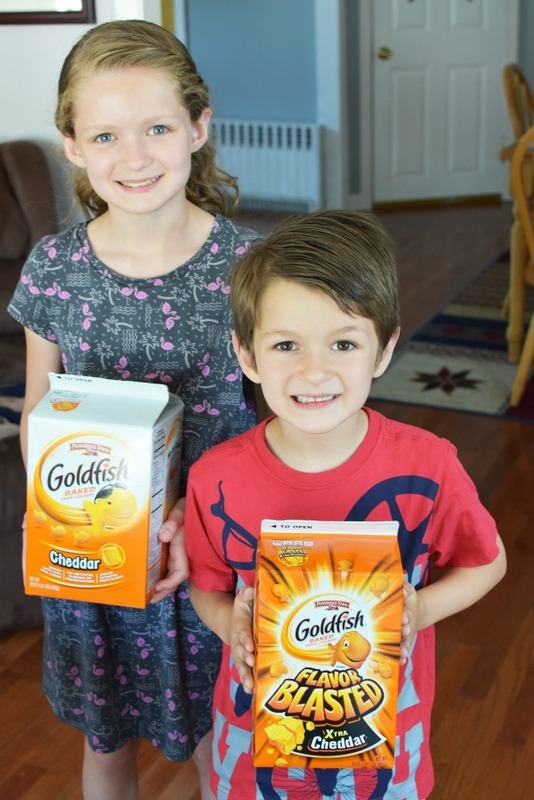 We typically buy the 30-ounce cartons of Pepperidge Farm® Goldfish® Baked Snack crackers & Pepperidge Farm® Goldfish® Flavor Blasted® Xtra Cheddar Baked Snack crackers at Walmart. Right now, they are on Rollback for $5.98! That is a perfect deal for stocking up for back to school snacks, and lunches. 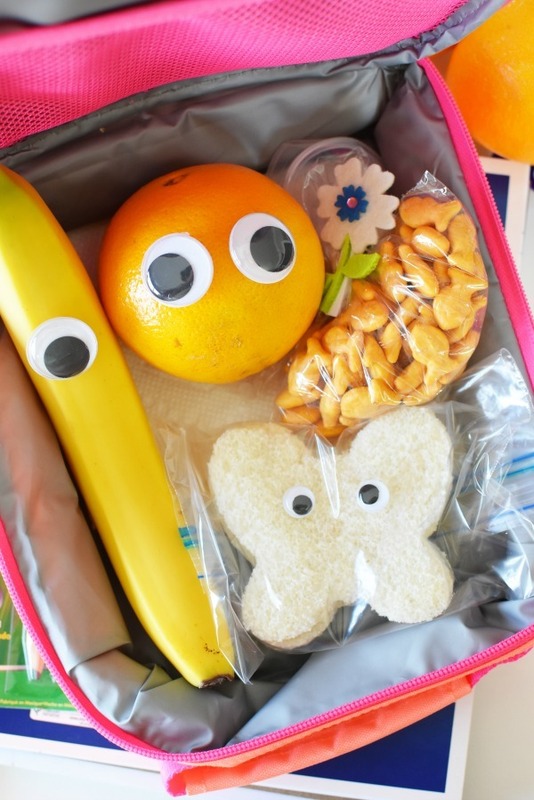 What are some ways you are making your child’s lunch more fun and creative this school year? Looking for Non-Edible Fun Kid Crafts? Check out this Slime Recipe at Savvy Saving Couple. This fluffy, moldable Cloud Dough Recipe is another fun craft that uses only two ingredients! These are such cute ideas! I love making lunches fun for the kids. 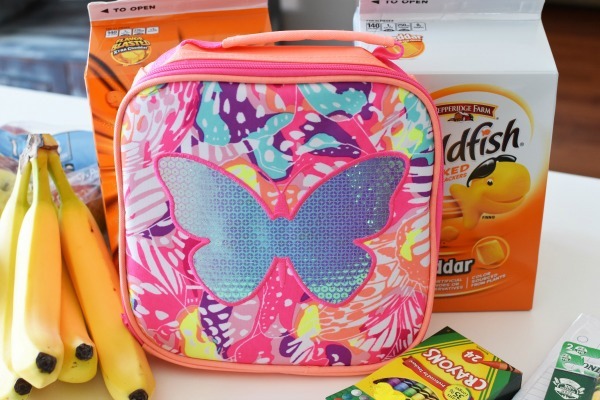 Brilliant and oh so darling lunch box ideas! I don’t think it matters how old our kiddos are… these ideas are sure to make them smile! Very cute ideas. The butterfly clips are very cut. I’m all for anything that will make their lunch boxes more fun. You have some awesome ideas here. I am ALWAYS looking for fun ways to make my kids smile while they are at school. These are such cute ideas I think I would like to do a couple of them for my kiddo when he goes back to school next week. It would be a fun surprise for him in his lunch. Aww, surprising the kids with some fun lunchbox creatures would be great. I love doing things like this. 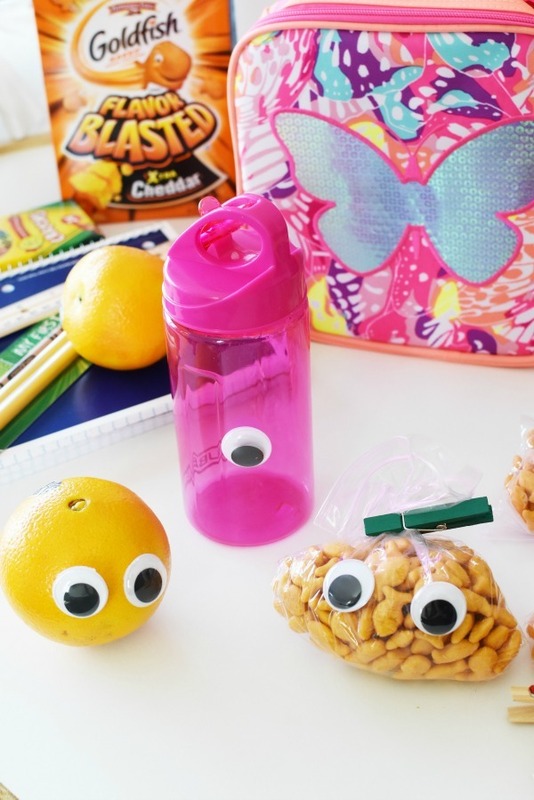 These are such cute and clever lunchbox ideas. My kids get a kick out of anything with googly eyes on it! So fun, what a simple and fun way to make lunch more fun. I’m going to be trying these, trying to get my youngest excited for kindergarten. I am always looking for new lunch ideas. I love the Goldfish butterflies. 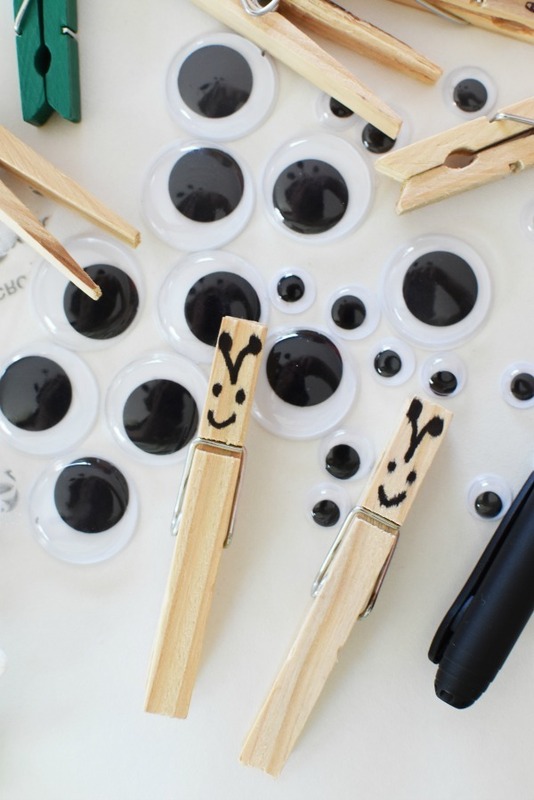 I will be sure to stock up on googly eyes. These are such fun ideas! My kids always get such a kick when I make silly things in their lunchboxes! We JUST got one of those jumbo goldfish boxes. They last forever! Fun ideas. Very creative. 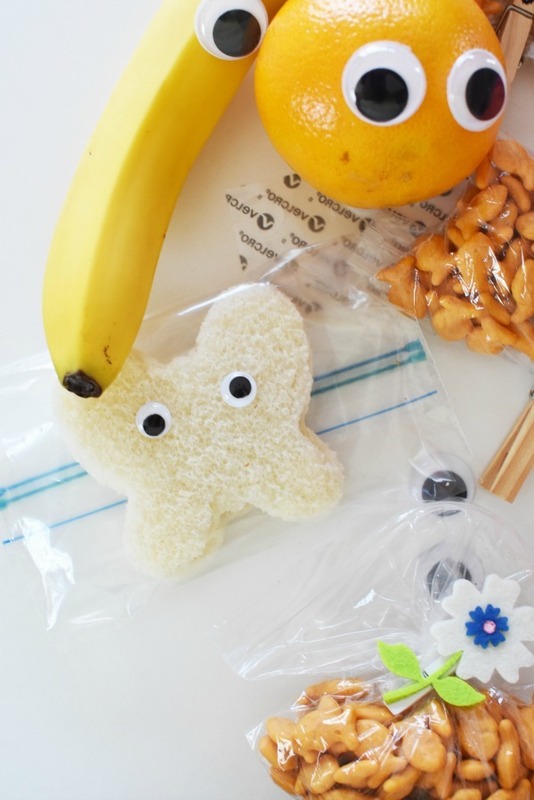 Kids love cute things to brighten up their lunch. 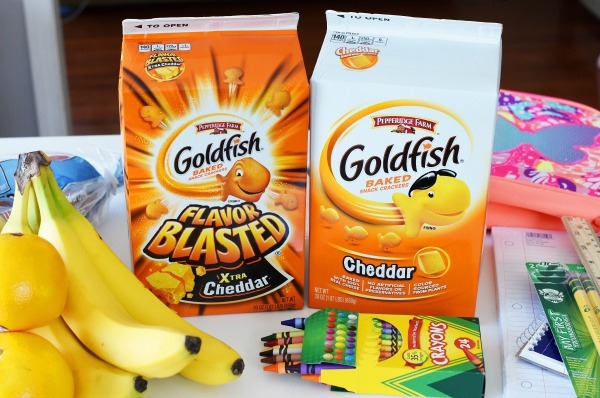 What cute ideas for the kids’ lunchboxes. My daughter was always a fan of goldfish when she was younger. 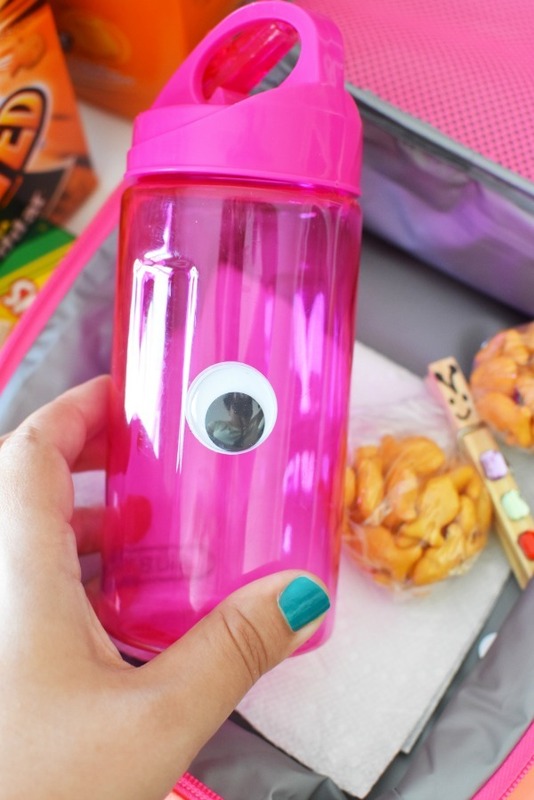 Such cute lunchbox ideas! I love making lunch fun for my kids, they seem to really enjoy it.